No one said that changing the world would be easy or fun, but it’s imperative, and it starts here. On a rain-soaked Friday, I queued with quiet enthusiasm outside the United Nations. I patiently waited for the opportunity to enter the world-renowned halls of the UN General Assembly—a place that many of us have only imagined. My years of debate, through Model United Nations, finally coming to fruition. No longer was I representing a country in a practiced discussion, but standing where leaders of all nations, address the world. A platform for one to share a vision of a better tomorrow. I couldn’t believe, I was standing there alongside 1,500 Americans, with the opportunity to expand my mind and raise my voice for an institution that raises others from poverty and oppression. I was attending UNA-USA’s Global Engagement Summit, the largest-ever assembly of American support for the UN at the UN. As I listened to the stories of academics, non-profit leaders, innovators, and diplomats, I was filled with hope. Hope in the future promised by initiatives like the sustainable development goals, and hope that institutions like United Nations High Commission for Refugees (UNHCR) can aid victims of the ongoing refugee crisis. I grew to realize that humanity is often overshadowed by the statistics of the refugee crisis. What we see now is not only an emergency of overwhelming proportions but one comprised of mothers and children. Despite coming from separate conflicts and cultures, a refugee is no different than you or me and given the resources and opportunity they can help change the world. The startling truth behind this humanitarian crisis isn’t that opportunities come scarcely, but rather that the mechanism that creates opportunity is missing entirely: education. 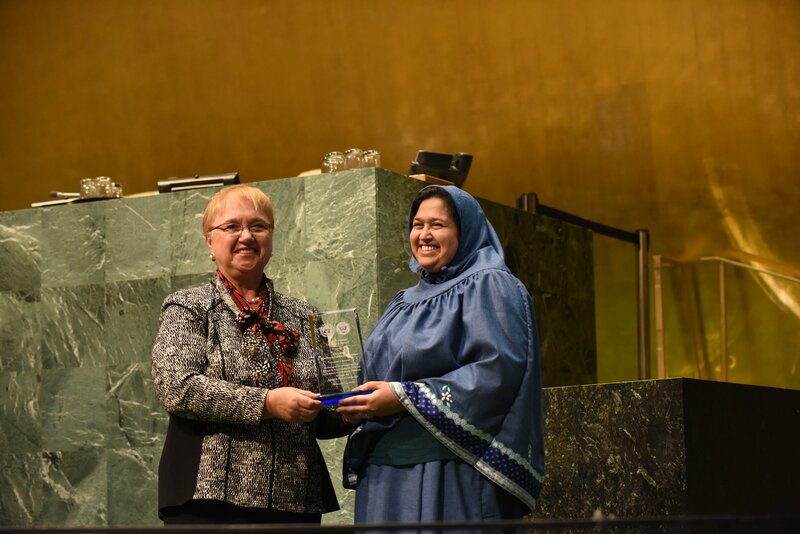 Lidia Bastianich attending the 2018 UNA-USA Global Engagement Summit. After attending this historic event at the United Nations, I realize that now is the time to make our voices heard on Capitol Hill to protect the vital work of the United Nations. Join me June 10 – 12, 2018 at UNA-USA’s Leadership Summit in Washington DC! Learn more and Register. Wes Rogerson is an Officer for Global Health Advocacy at the United Nations Foundation (UNF) responsible for grassroots and direct advocacy efforts supporting malaria prevention and immunization access. Working in tandem with UNF's Shot@Life and Nothing But Nets campaigns, Wes recruits, trains, and mobilizes grassroots champions across the nation, empowering them to advocate for bipartisan support on these issues. Prior to this, Wes worked as a Senior Associate for the United Nations Association of the United States of America (UNA-USA), a program of the United Nations Foundation. 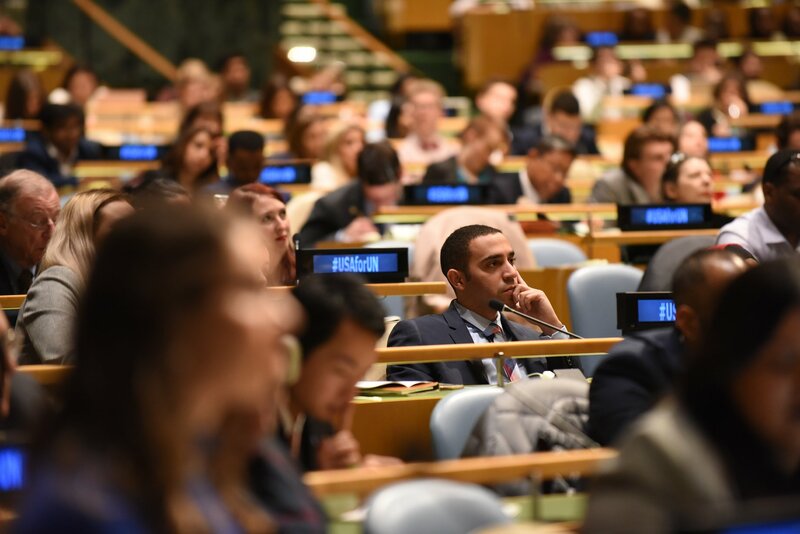 UNA-USA is a membership organization with a network of 180+ Chapters over 20,000 members dedicated to inform, inspire, and mobilize the American people to support the ideals and vital work of the United Nations. Wes Rogerson is a graduate of the University of Miami, where he earned a Bachelors of Arts in Political Science and International Relations.